Commodore was one of the leading names in personal computers back in the 1980s and early 90s. Their fall from grace was a long quiet one as they slipped away becoming gradually forgotten. However, today they are back and they have announced they will be releasing an Android smartphone here in Europe later this week! 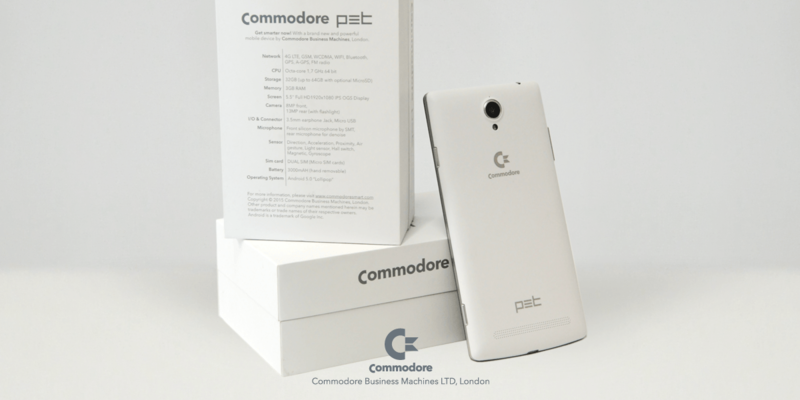 The Commodore PET will be the company’s first smartphone, running a custom variant of Android 5.0, will come preloaded with two emulators for some highly important retro gaming. As for the specs, the PET will feature a 5.5-inch IPS display, along with a 1.7 GHz Mediatek 64-bit octa-core processor. Commodore is packing a 3,000mAh battery inside, along with a 13MP rear facing camera, and an 8MP front facing camera, both of which can be operated by a dedicated shutter button on the side of the phone. Commodore will be launching two different versions of the PET, one with 16GB of storage and 2GB of RAM, and one with 32GB of storage and 3GB of RAM. UK pirces have not yet been announced however some sources are saying the 16GB model will run for around £250, while the 32GB model will go for around £300. Both models will come with a 32GB microSD card included. Three colours will be available white, black, or a classic beige color. Initially, the Commodore PET will be available in Italy, France, Germany, and Poland, with plans to expand to the US and other European countries in the near future. Below you can see the classic Ghosts’n’Goblins on C64 Emulator. Welcome back Commodore, you have been missed. The world’s first mind-controlled electric car created by MoneySuperMarket! MoneySuperMarket have debuted world’s first mind-controlled electric car this morning. Carol Vorderman was on hand to take the car for a spin using her big brain! Video footage has been made available for all to see of Carol working her way around the track. On Thursday the track is empty and waiting for some lucky members of the public to be brain trained and drive the car themselves, in a once-in-a-lifetime opportunity. All they need to do is register before lunch time tomorrow at midday following this link: http://www.moneysupermarket.com/hubs/car-insurance/mind-drive/ . Eighty years since the first driving test and with more distractions on our roads than ever before, MoneySuperMarket is reminding people to keep their brains in gear when behind the wheel with a truly epic motoring experience – the world’s first mind-controlled electric car. 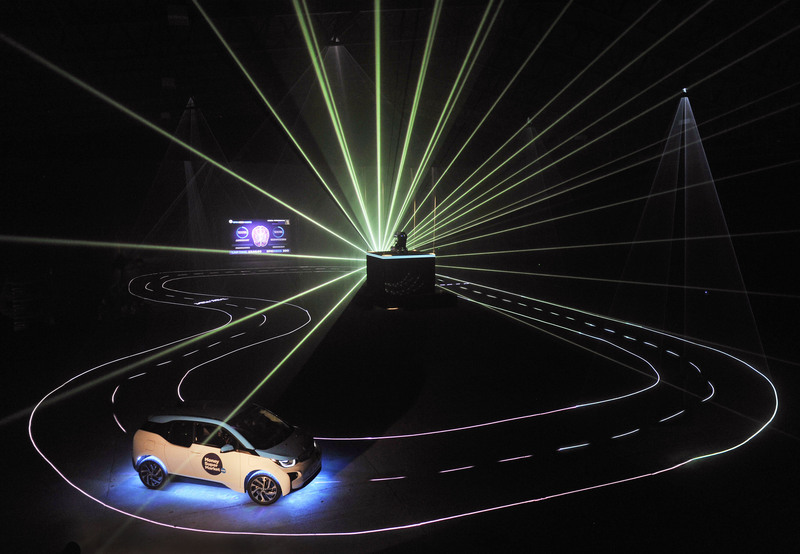 The Car Insurance Epic Mind Drive gives drivers the opportunity to negotiate this ground-breaking vehicle around a futuristic track using brainwaves alone to turn left, right, move forward and stop. The car is controlled with an electroencephalogram (EEG) neuro headset, using sophisticated software algorithms to translate raw EEG data into mental commands. Each user must train with the headset so it can decipher their thought patterns and learn their unique mental topography. The software is then able to recognise distinct thought patterns and using some complex electronics, wirelessly sends these commands to the car’s controls. Those selected to take the driver’s seat will be judged on the track by a series of variables. This includes statistics fed back by a telematics box in the car reporting on how safely and accurately they drive, a technology system used to calculate fair premiums and save drivers money on car insurance policies. Accuracy, smoothness and lap time will all be fed into a bespoke formula to generate a score that they can take away with them, along with the pride of being one of the very first mind-control drivers. The experience highlights that driving with your brain in gear not only keeps you safe but also saves money on your car insurance. The Car Insurance Epic Mind Drive experience is live now. Drivers should go to http://www.moneysupermarket.com/hubs/car-insurance/mind-drive/ and register before 12 noon on Wednesday 15th July for the chance to drive the world’s first mind-controlled electric car on Thursday 16th July. Visitors to the site will also be able to register for the chance to play the exclusive mobile driving game, using their heads in a live video call to drive by facial recognition and gesture alone.